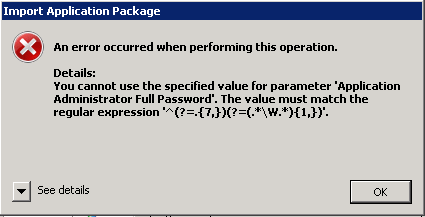 Okay, my problem was that users in a Lightswitch application are created in a transaction. That transaction is fired in my case by the network service, the account my LightSwitch server application is running under. But MSDTC is deactivated for the network by default, because of security reasons. 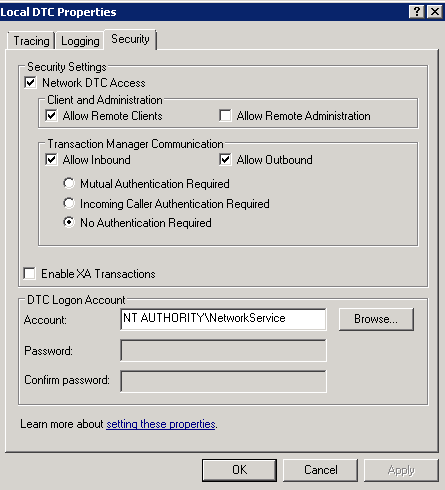 The dialog to change security settings for MSTDC changed tremendously between Windows 2003 and Windows 2008. I found many examples for Windows 2003 on the web though, but just a few for Wind0ws 2008 and most of them were rather confusing. Here’s a short walk through for those who have a similar problem. 1) Open the DCOM configuration snap-in by typing dcomcnfg in run-as . 5) Check at least Network DTC Access, Allow Remote Clients and Allow Inbound. 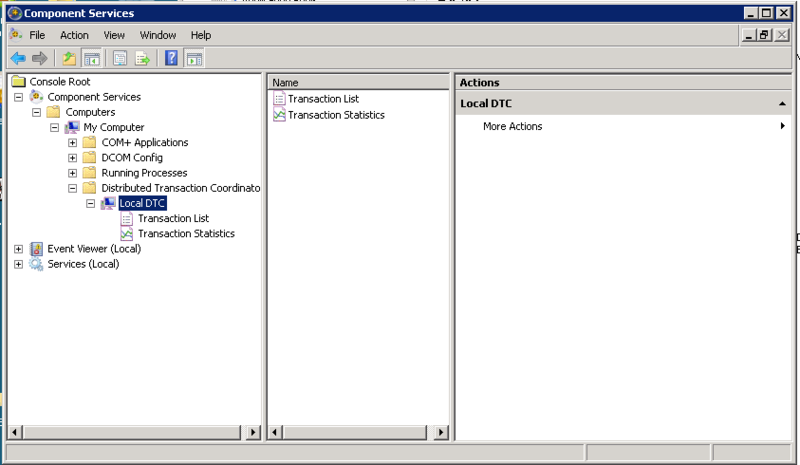 Because I was routing my transactions to another computer I had to activate Allow Outbound communication as well. If you want to enable AutoAdminLogon on a Windows 2008 server it’s quite easy, just type “control userpasswords2” in the run as textbox and hit enter. Then a dialog appears that shows a checkbox, which is usually checked, saying that users must enter username and password. If you uncheck this checkbox you will be asked for the password of the current user. Windows stores the password and enables auto logon in the registry. Voila. This adds a key to the registry and re-enables the checkbox. Replace domain by your actual domain name. Well, I considered regular expressions always useful in many cases. But in error messages? Tell me, is this helpful?